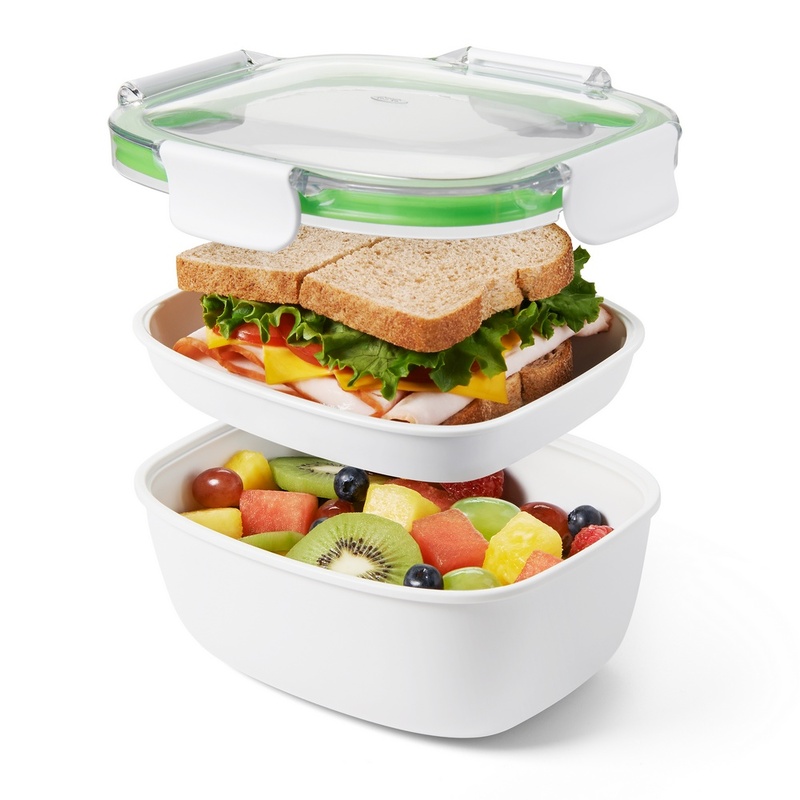 Compartments keep wet and dry foods separate until lunchtime. 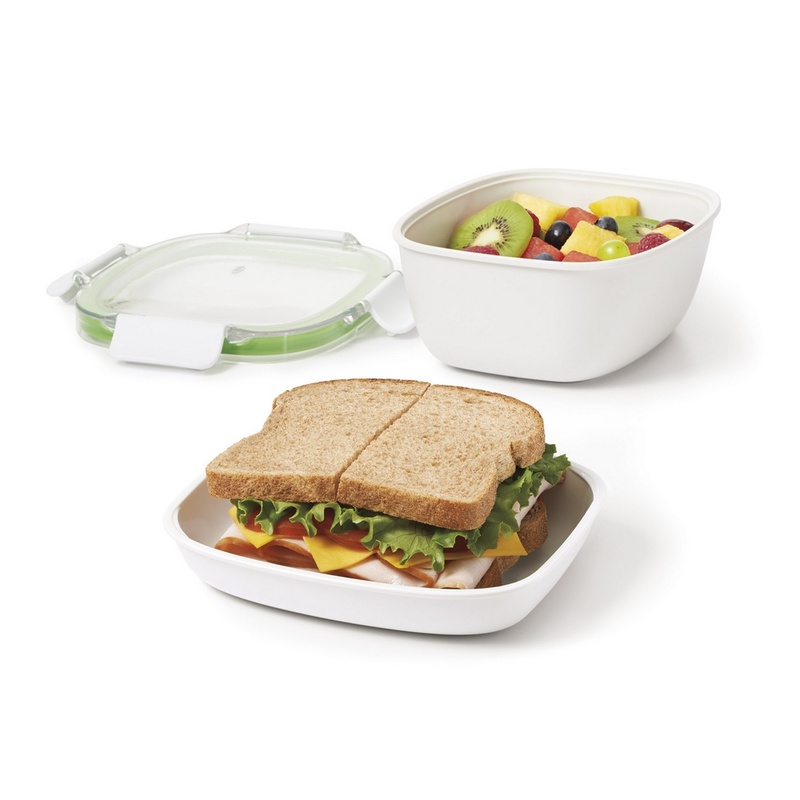 Two leakproof compartments keep your lunch items fresh and make it easy to eat on the go. Container can be used with or without plate. 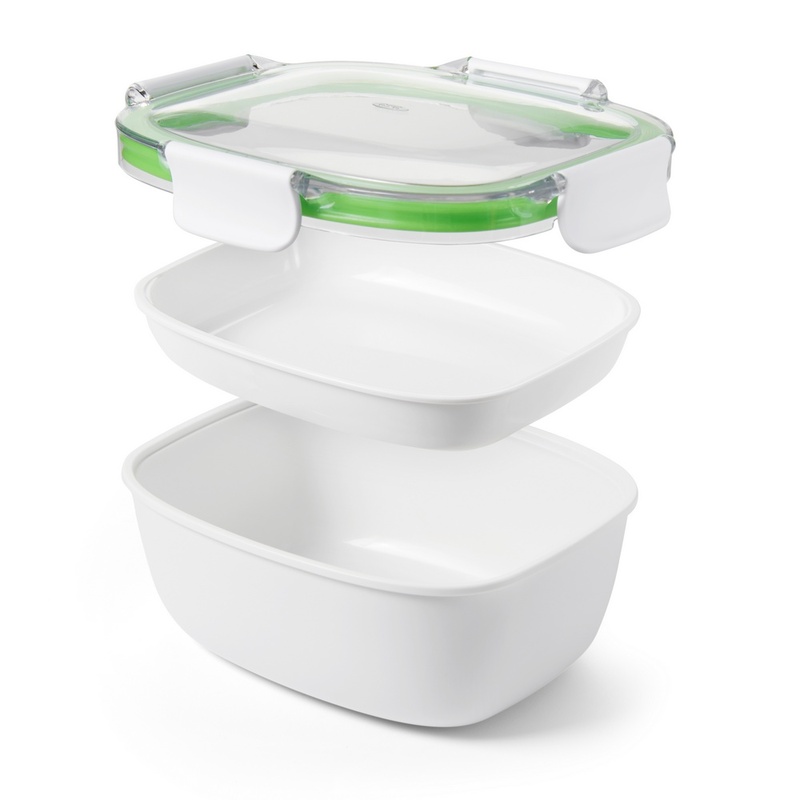 Crystal-clear, durable Tritan lid features four locking tabs ensure a secure seal. Silicone gasket can be removed for easy cleaning.